The current governor of Michigan, Rick Snyder of Flint water crisis fame, made some sweeping changes affecting campers in Michigan when he first took office. All residents now need to purchase an eleven dollar recreational passport ( per vehicle) to access our state land and campgrounds. It was promoted as a way to shore up our natural resources with the attendant flag waving that usually accompanies bad news. The DNR did get an influx of money and I am the first to say that DNR has a history of providing valuable service as environmental watchdogs. Something else changed with the current administration however, and if I remember correctly, I believe the DNR now reports to the Bureau of Land Management which controls, among other things, permits for clear cutting. All that aside, and I am not sure of particulars, I would like to relate some personal experience regarding the trickle down affect of the recreational passport. 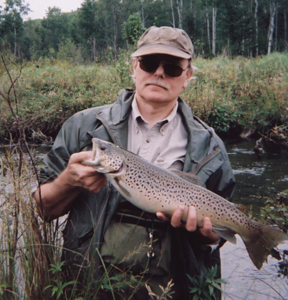 A few years ago Feral and I went up to the Pine River in northern Lake County to fish a stretch of river on state land. 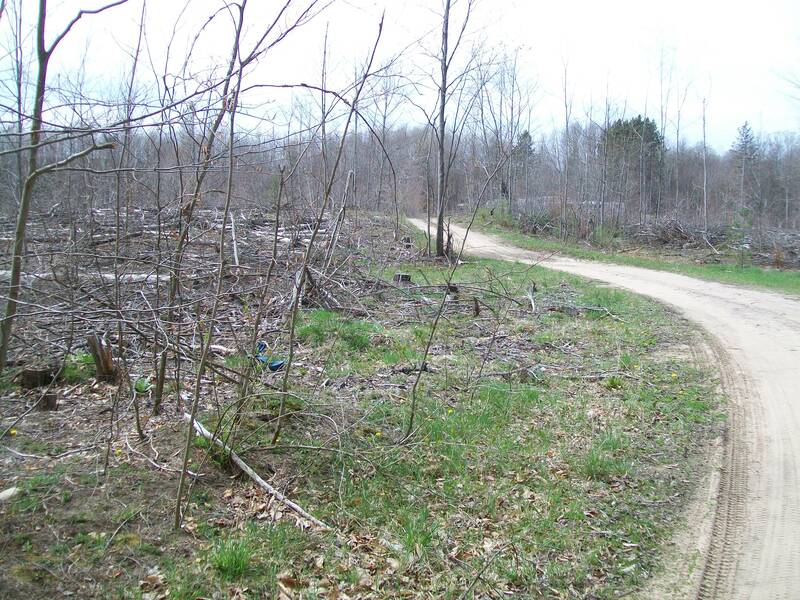 There is an access spot off Raymond Road which has a two track entering a big clearing which at one time had campsites managed by the DNR. Before reaching the clearing the two track spits and the right side leads to another two track that that parallels the river. All state land. Nice river access. Feral and I usually park in the large clearing and walk the other two track downstream in order to fish back upstream to the large clearing. There was a large group of friendly campers there. We said hello and went fishing. Halfway through our stretch we could see a man fishing from the bank so we got out of the stream to go around him, so as not to disturb his fishing. After a subdued greeting he related this story. He and his sons had been camping in the same spot along the Pine river for 10 plus years on opening day, which was right up the hill. We knew the spot, but hadn’t camped there ourselves. A DNR officer told them they could not camp there because it was too close to the river and threatened them with a ticket if they did not pull their tent and move to the other side of the two-track. They moved but unfortunately there are no campsites on the other side of the two track, so they gave up a nice clearing with fire pit and pitched their tent in the condensed woods on the other side. We felt bad for the man and his sons, expressed dismay, and continued on our way upstream fishing. When we exited the stream by the big clearing with the campers, they had a story to relate. It seems a DNR officer told them they had to leave. This group stood their ground explaining they had been camping there for years and saw no reason to leave. My understanding is the the DNR officer came back shortly thereafter and told them they could stay because the DNR previously managed campsites there. So far, so good. Fast forward to the next year. The big clearing, this beautiful scenic spot, was clear cut. If you click on the photo below you can see the tops of some camper trailers in the clearing. They lined up their campers to try to block the view. You can imagine how they felt. The story does not end there. Feral and I went downstream like the previous year and came across the guard rail in the top photo. It was placed at the spot the man and his sons were kicked out of the previous year. There is a second, identical guard rail about ten steps to the right. The DNR made sure no one gets to camp in that lovely remote spot on the Pine River. 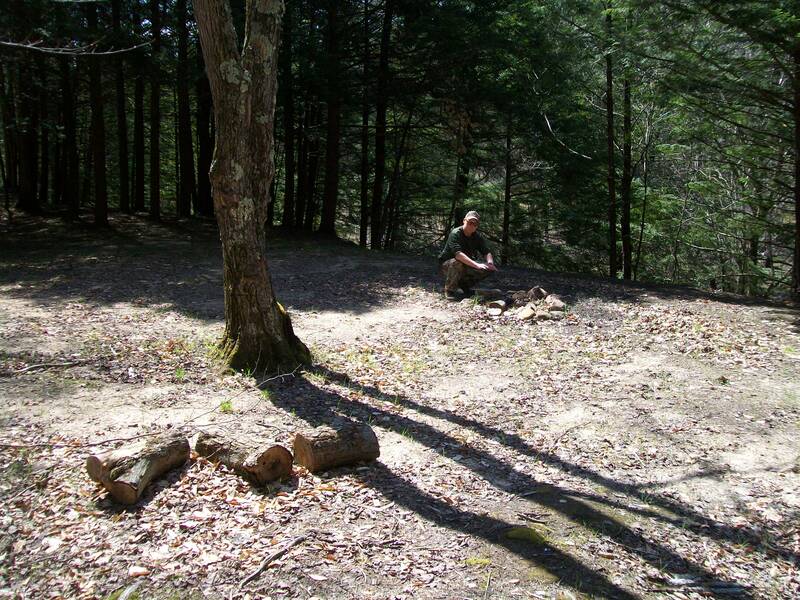 Here’s a photo of the camp spot with Feral kneeling by the fire pit. I know, pretty nice. The river is over the hill, beyond Feral. In a nutshell, the recreational passport program and land management programs under Rick Snyder resulted in decimation one of the most beautiful spots I know along the Pine River, and almost as bad, placed ugly guard rails to make sure no one camps in what was once a nice spot enjoyed by the man and his sons for ten years. The guard rails, by the way, are of dubious use. Based on what we could see, it would not be hard to drive around them. 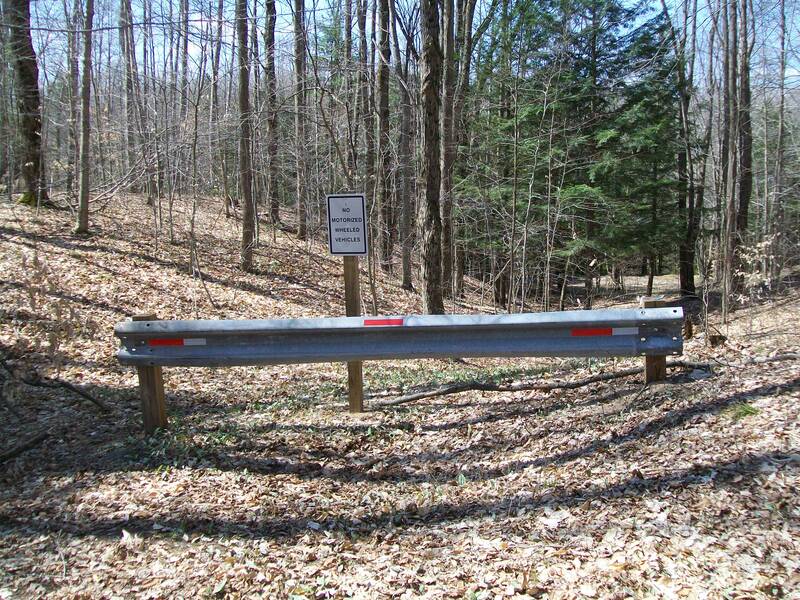 I don’t know which is more disgusting, ugly guardrails in the middle of nowhere or clear cutting a scenic spot used for decades by Michigan campers. These are the kinds of things I will be considering when it’s time to elect another Governor. That along with the poisoning of residents and deflecting blame. I am one of the moms from the group of campers that got told they could stay. You shared info about your blog and shared some fish with us that you caught. I enjoy the blog!! I stand corrected, it was passed into law by Governor Granholm during her last year of service. It went into effect the first year of Governor Snyder’s first term in office. The clear cutting and guard rails are the result of his management of the program. For a historical overview of the program, here’s a link to the DNR’s page.